As the retail landscape continues to change with the evolving world of online shopping, it is becoming more important for retailers to better understand the nuances of customer traffic. By doing so, brick-and-mortar stores will be empowered to develop and strengthen the in-store strategies that will ultimately improve conversion ratios and help them make the most of every customer. However, in an age where online stores continue thinning out the brick-and-mortar customer base, many retailers in the UK are still not taking advantage of retail analytics. 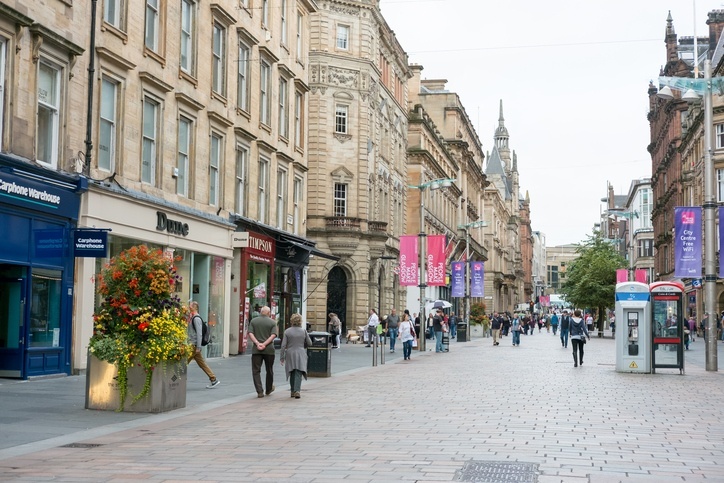 We recently completed a wide-ranging survey of UK high-streets and malls to investigate just how many retailers are using people counting solutions. Of the 947 stores we surveyed, 445 – or about 50 percent – were not using people counting technology of any kind to track shopper traffic. It is an interesting and puzzling fact that nearly half of the shops in these bustling retail locations do not fully understand their customers’ needs – an actionable insight derived from people counting data that helps increase revenue and decrease costs. Many of these same retailers are investing more money into improving their brick-and-mortar locations’ aesthetic appeal through flashy displays that entice potential customers through the doors. However, that strategy is only effective when it is accompanied by superior, measurable service. For retailers not utilising in-store analytics, an issue arises when they don’t know what those shoppers do and where they go once inside the store. With the holiday shopping season right around the corner, now is the time for retailers to consider making the right kind of technology a priority to ensure their in-store strategies are optimised for customer experience, customer service, traffic flow and sales opportunities. Irisys’ people counting systems are among the best solutions available to help retailers to generate and understand retail analytics that can increase revenues. In fact, among the stores we visited that were using retail analytics, Irisys technology was the clear favourite with a more than 43 percent usage rate. Already the global leader in people counting technology, we are continuing to produce unrivaled people counters for retail analytics with our newest product, Vector 4D. It is the most advanced technology in the people counting market today and further improves the accuracy and expands the capabilities in how footfall data is collected. The introduction of Vector 4D expands the capabilities – and value – of the people counting device. Besides counting customers, Vector 4D can be configured to eliminate or count children as customers utilising height measurement technology; deployed to monitor shopper dwell times; and installed in areas where older technologies cannot perform. Irisys’ newest retail technology solution consistently provides the tools and intelligence retailers need to improve conversion ratios and optimise staff scheduling.